Scooper - Technology News: The world today looks a bit like it did before World War I - but what does that mean? The world today looks a bit like it did before World War I - but what does that mean? A backlash to globalization appears to be gaining strength around the world. U.S. politicians on both the right and left have called for curbing free trade deals they say benefit foreigners or the global elite. President-elect Donald Trump has championed tariffs on imports and limits on immigration, and suggested withdrawing from international alliances and trade agreements. Meanwhile, populist and nationalist governments have gained ground in Europe and Asia, and voters in Britain have elected to withdraw from the European Union. To some, it looks ominously like another moment in history — the period leading up to World War I, which marked the end of a multi-decade expansion in global ties that many call the first era of globalization. In a recent report , Josh Feinman, the chief global economist for Deutsche Asset Management, says that the world could see a substantial backsliding to globalization in decades to come. After all, he writes, we have seen it happen before, in the years of chaos and isolationism that encompassed the First and Second World Wars and the Great Depression. 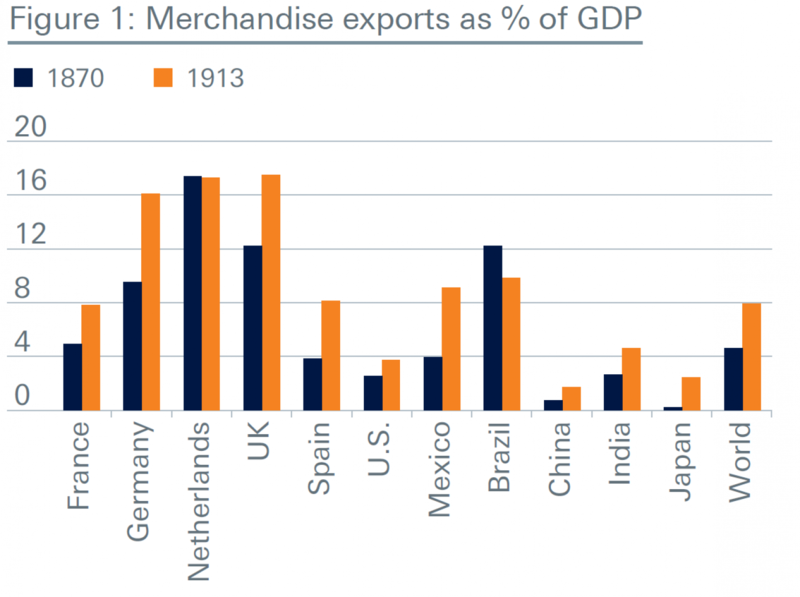 “The first great globalization wave, in the half-century or so before WWI, sparked a populist backlash too, and ultimately came crashing down in the cataclysms of 1914 to 1945,” says Feinman. Other economists have proposed similar theories in the past. Branko Milanovic , Dani Rodrik , Niall Ferguson , Fred Bergsten and others have argued that globalization is a cyclical process, accelerating and retrenching over decades, as global integration naturally gives rise to a backlash. Like Feinman, many see the period leading up to World War I as an illustrative example. From the mid-19th century to 1914, advances like steamships, the telegraph, the telephone and the Suez and Panama canals dramatically shrunk distances and increased communication, and the world underwent a period of rapid globalization. Roughly 60 million Europeans left low-wage countries in Europe for resource-rich lands in the United States, Canada, Argentina, Australia and elsewhere, Feinman says. Countries also lowered their barriers to imported goods and embraced trade. As this chart from Feinman's report shows, merchandise exports rose as a share of the economy, evidence of globalization. These changes spread the benefits of the Industrial Revolution around the world, Feinman says. 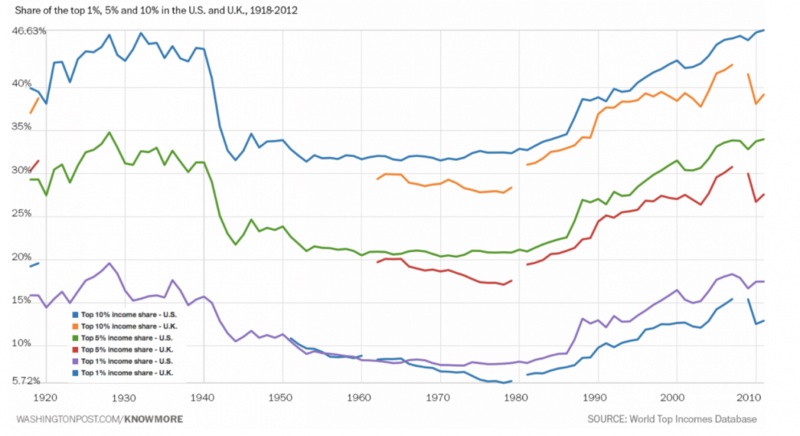 But in some places, particularly wealthier countries, they also worsened inequality. Trade enriched some people but left others behind, triggering unrest and a political backlash. As Feinman writes, countries gradually introduced more trade barriers and restrictions on immigration. With the support of American workers, the United States passed a law in 1921 that imposed strict quotas on immigrants, especially those who were poor or from outside of northern Europe. With the World Wars and the Great Depression, globalization collapsed, and nationalist movements and economic isolationism reigned for decades. In the decades following World War II, the pendulum swung in the other direction. The United States led the world in creating and expanding international organizations like the World Bank, the International Monetary Fund, and the General Agreement on Tariffs and Trade, the precursor to the World Trade Organization — institutions that creators believed might help make another world war impossible. Since then, the world has experienced what many think of as the second great wave of globalization. There are many differences among these eras of globalization and retrenchment, Feinman is careful to say. The World Wars and Great Depression were not just about a rejection of globalization, and that rejection of globalization was as much a result of those events as their cause, he writes. Today, the free flow of capital and trade exceeds what it was in the pre-World War I era. And the share of Americans who are foreign-born and the share of wealth owned by the richest Americans — an indicator of inequality — have returned to pre-World War I levels, after dipping during the mid-1900s, as the two graphs below show. As before World War I, the second great wave of globalization led to a surge in immigration and increasing inequality in some countries, which likely helped to trigger the current backlash. Feinman says that globalization is far from solely responsible for the economic malaise that some in the United States and around the world experience. In addition to globalization, technology, social changes and government policies have all been instrumental in determining who benefits and who loses out from global economic integration in past decades. But globalization has also hurt some less-skilled workers by exposing them to competition. In addition, globalization may make an easier political scapegoat, says Feinman: It’s easier for politicians to blame foreign countries for their troubles than technology, since technology is often viewed in a positive light. Economically, we are seeing signs that globalization may be shifting into a lower gear. In September, the WTO projected that global trade growth would fall to 1.7 percent in 2016, the slowest pace since the 2009 financial crisis. 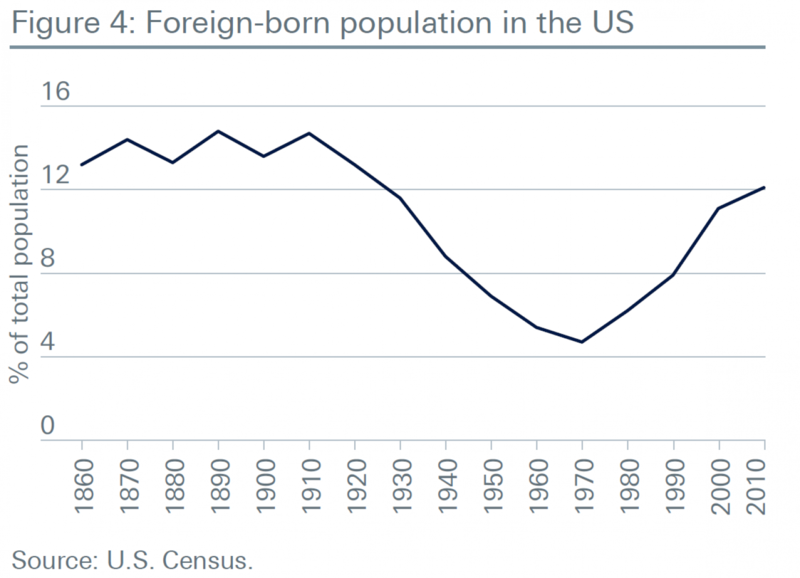 The share of America's population that is foreign-born has decelerated. And the world is seeing more trade barriers and a dramatic slowdown in the crafting of new trade pacts.